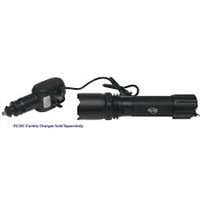 A 4 inch Duracell LED flashlight that attaches to your sprayer wand. Always have a flashlight available when needed for those hard to see areas. Batteries included. The Flex ICU light and utility holder are a great combo for your 1 gallon sprayer. Hands free convenience with an angled design that directs light exactly where you need it. Lightweight, portable, versatile with easy mount and quick release. 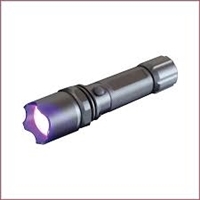 J F Oakes - Pro Pest LED UV Rechargeable Flashlight, includes rechargeable battery, charger and holster. Now a more powerful black light. LED's are energy-saving. No filament to burn out or break.